Jennifer Elgie Paez is an associate in the San Francisco office of Lewis Brisbois and a member of the Healthcare Practice. Ms. Paez represents health care providers, individuals and healthcare related business clients, in civil litigation on matters relating to medical malpractice, dental malpractice, elder/dependent adult neglect and abuse, wrongful death, violation of patients rights, fraud and breach of contract. Jennifer is able to utilize her special knowledge and insight from her extensive medical background in the counseling and defending of health care providers. 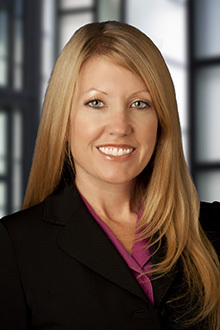 Jennifer has over 8 years of experience in the representation of health care providers on matters relating to medical malpractice and elder and dependent adult abuse. A member of the Inns of Court of the Sonoma/Napa/Marin branch for 3 years prior to moving her practice to San Francisco.